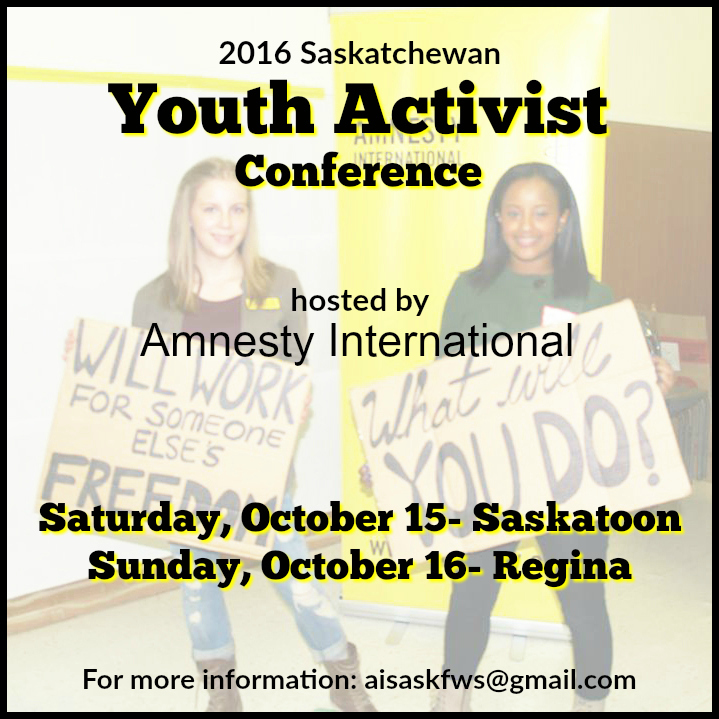 Youth (under 30) are invited to attend October 15 in Saskatoon or October 16 in Regina. 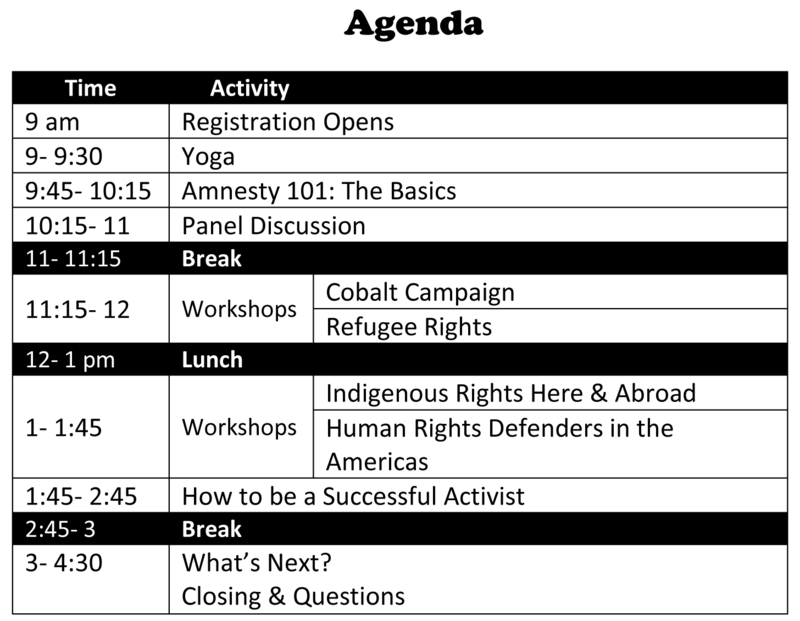 The goals of the Saskatchewan Youth Activist Conference are to connect young activists and those interested in getting involved in human rights activism for a day of inspiration and learning! The morning will start with yoga (optional) and registration at 9 am, with the program officially beginning at 9:45 am. The Conference will finish at 4:30 pm. The Conference is free and lunch will be provided. Please contact aisaskfws@gmail.com if you have any questions about the Youth Activist Conference or would like to volunteer to help with the event!